Want a summer home improvement project? Dig a big hole on your property, throw a bunch of money in it, throw a match in and bury it once the flames subside. This is basically what a select, wrongheaded number of Americans do every year when they see the sun peek out in June and head to Home Depot, Lowe’s or Sears without much of a plan. That yard may seem like it’s begging for a pool and your front porch may look inferior to a sunroom, but that doesn’t necessarily make them good ideas. 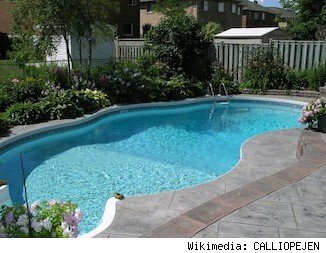 An in-ground pool is a $25,000 to $50,000 gamble before a homeowner even considers tucking into their first cannonball. That same pool costs about $2,000 more a year to maintain, hundreds more to heat and insure and hundreds more in filter and pump repairs within less than a decade. When cracks inevitably appear, resurfacing can cost upward of $10,000 shortly after that first decade. Sure, the National Association of Realtors’ National Center for Real Estate Research says an in-ground pool can add about 8 percent to a home’s resale price, but that value swings from 6 percent in the frosty Midwest to 11 percent in the most toasty Sun Belt. An above-ground pool with have cheaper upfront costs, but the Center for Real Estate Research says it adds no value to a house and can actually subtract 1.9 percent of a house’s value if the buyer decides the eyesore needs to come down. Installing steel grills and gourmet pizza ovens outside in a fenced-in area in Arizona or California adds to your square footage and optimizes great year-round weather. In Traverse City, Mich., it does neither. If your outdoor kitchen is considered an actual kitchen, the return on a major remodel — in this case, 65.7 percent — would be roughly the same. While such things as range hoods and portable heaters make outdoor kitchens year-round propositions in markets as seasonally chilly as Nantucket and Northern Michigan, it’s never quite as comfortable and can cut your returns in half if residents start to shiver during a February pig roast. Read more of this story at TheStreet.com.